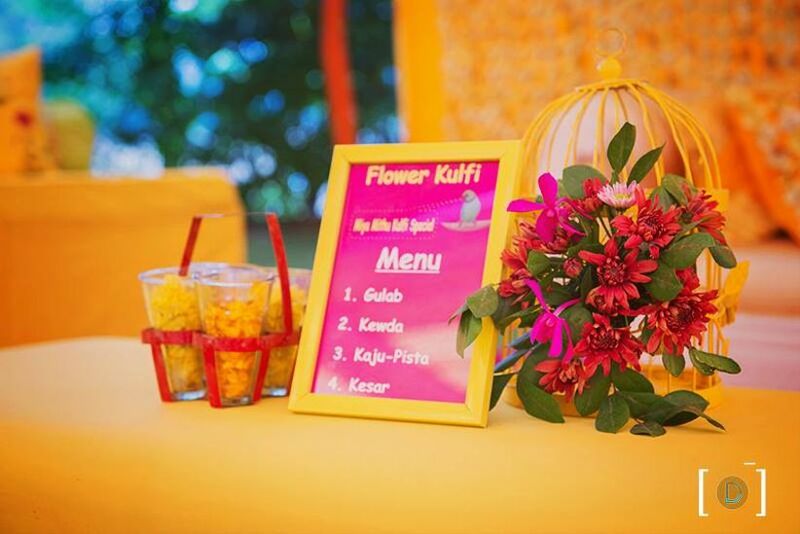 6 Fun Ideas to Amp up Your Haldi Ceremony Quick and Easy | Wedding Tips ARE YOU A VENDOR? 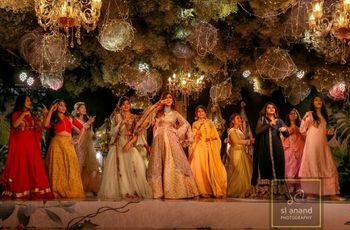 Move over Mehndi and couple photos! 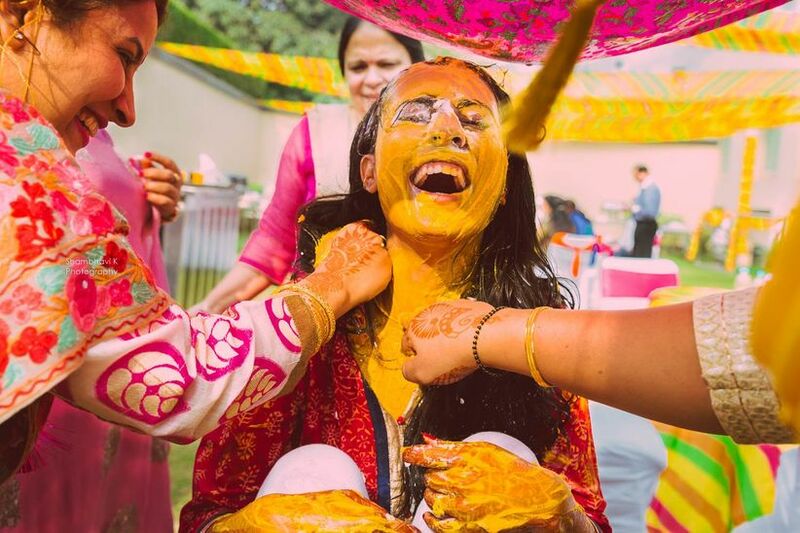 It's the Haldi ceremony that's become every wedding photographer's favourite ceremony. 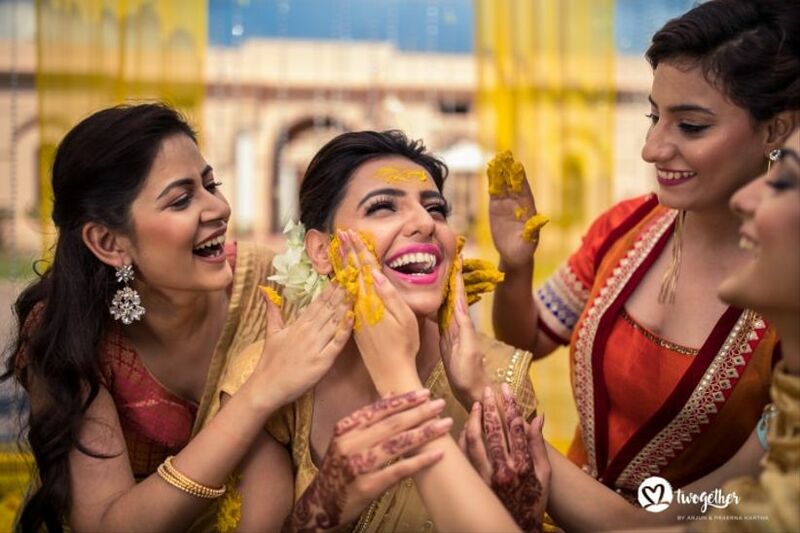 Here's how you should focus your energies on Haldi ceremony ideas and make the most memories from this simple ceremony too. Laughter, leg-pulling, camaraderie and the pungent, tangy whiff of turmeric in the air - a Haldi ceremony is all this and more. 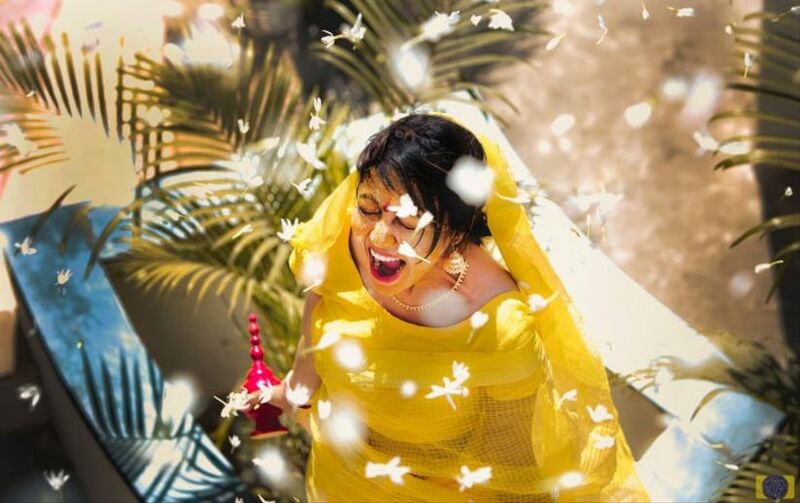 Either held on the wedding day or coupled with the Mehndi, the Haldi is a dash of heady fun with family, alongside the sometimes emotional chords that a Shaadi often evokes. 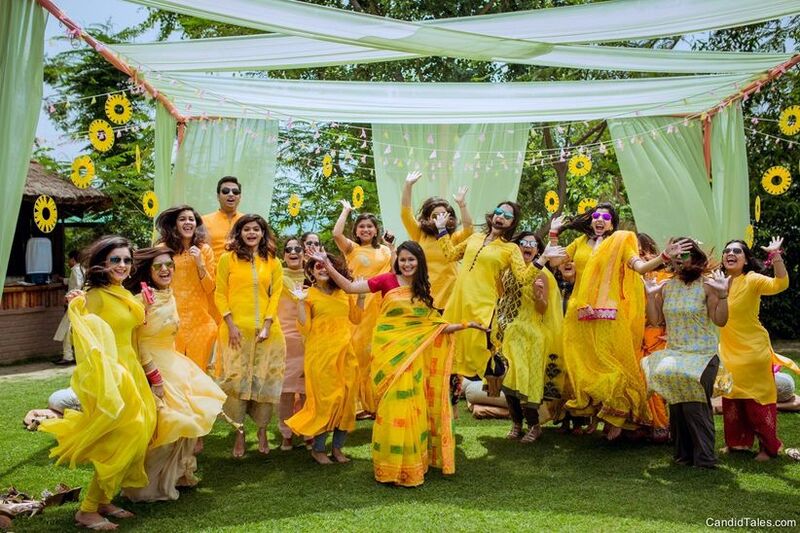 Here, we pay homage to its yellow shades and talk about the significance of the ceremony, alongside a few ideas to make it count! 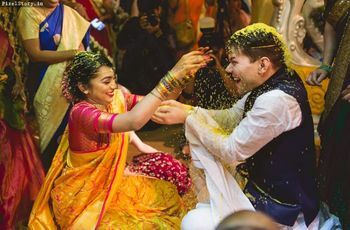 The Haldi ceremony came into being as a purification (and beautification) ritual to ensure that the bride and groom 'glow' before they step up for the ceremony. The bitter turmeric root is touted for its medicinal prowess everywhere - it adds flavour, acts as an anti-bacterial, anti-inflammatory, anti-viral ingredient to Ayurvedic medicines and is even known for its anti-depressant properties. And so, over time, it became a stand-in as a herbal beauty and medicinal ritual during the umpteen preparations for one's big day. 4. As a Herbal remedy: To prevent or curb breakouts or inflammations on the big day. 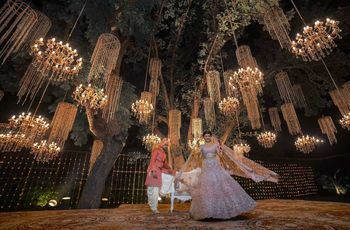 There are also those who believe that 'Haldi' can help soothe pre-wedding jitters, helping the chosen two to be calm and in control for their big day. The Haldi ceremony is often marked as an intimate gathering, just ahead of the main wedding ceremony. 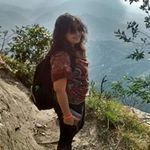 So, it's where your family - mums, sisters, cousins, close friends and near relatives will shower their love on you (proverbially and sometimes literally), blessing you against 'Buri Nazar' and for a happy married life ahead. 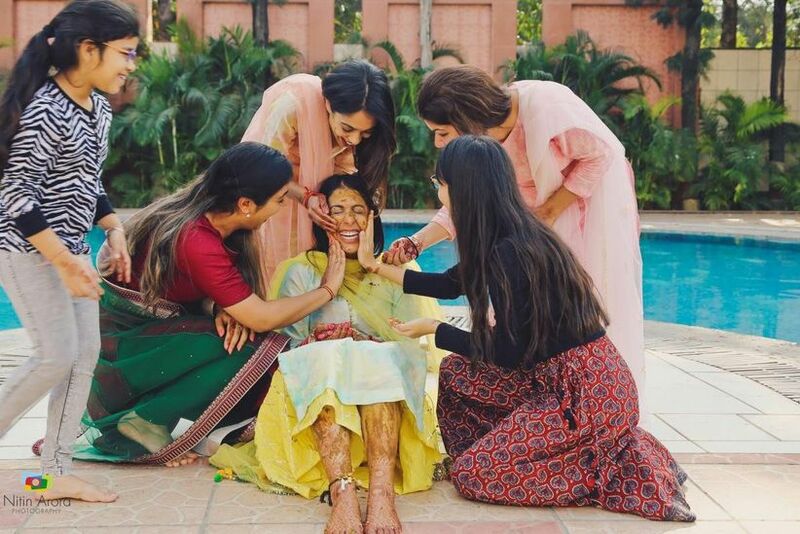 These blessings are blended (often with regional and cultural variations), with either milk, rose water, sandalwood, curd and other herbs and then spread liberally over the bride and groom's face, arms and legs. 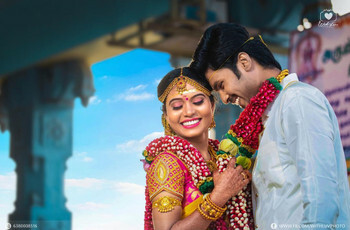 There is the traditional Punjabi wedding, where the Haldi ceremony is often combined with the Chura ceremony; the Marathi wedding, where Haldi Kumkum has its own role to play; the Gaye Holud (at a Bengali wedding), Nalugu for a Telegu wedding and so on. Many couples also choose to combine the Mehndi and Haldi ceremonies for their massive photo-op and fun potential. Keep the guest list in control - The bride/groom and their loved ones should be able to enjoy both the emotional and fun aspects of the day and shouldn't mind getting a little messy. Create a Haldi Playlist - Add as many Bollywood numbers and Indipop tunes as you want. These will set the tone for the function and add to the overall fun vibe of the occasion. Delegate responsibilities to your elders, in terms of planning the traditional ceremonies - they would know familial customs best. Check with your makeup artist on how much Haldi application is okay with their wedding makeup plans. Pose - With elan - A Haldi ceremony is often the last time one can let their hair down with their loved ones. Make the most of it for your photos, wedding video and as a time-out, before the formal events. While we've already talked about planning an easy menu, this doesn't mean that you provide forgettable fare. 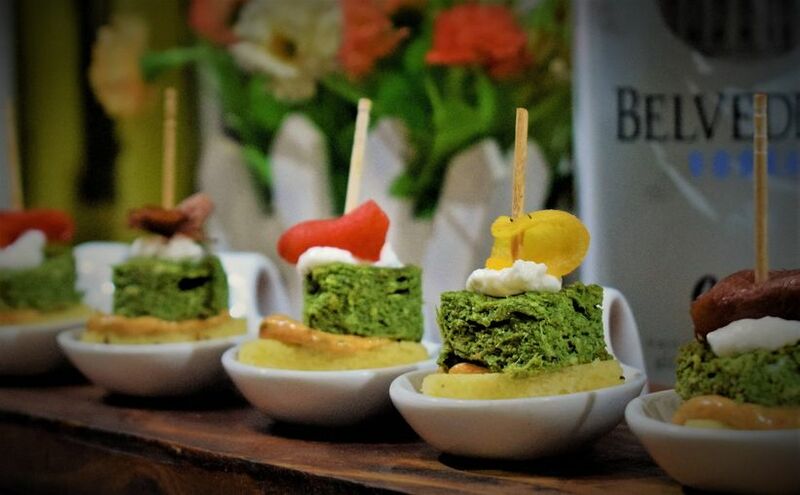 Plan the Haldi ceremony menu around visually appealing snacks, beverages and sweet bites that anyone can pick up and munch while they're having fun with the paste. You can add Kulfi and other desi icecreams for the sweltering summers or hot cups of masala tea for a wintery wedding. Don't forget your skincare essentials. Ensure that the paste is freshly prepared, though to avoid any breakouts or skin irritation at the last minute. All you need is some rosewater, turmeric, sandalwood and curd and you’re all set! 6. Your Wardrobe Matters Too! 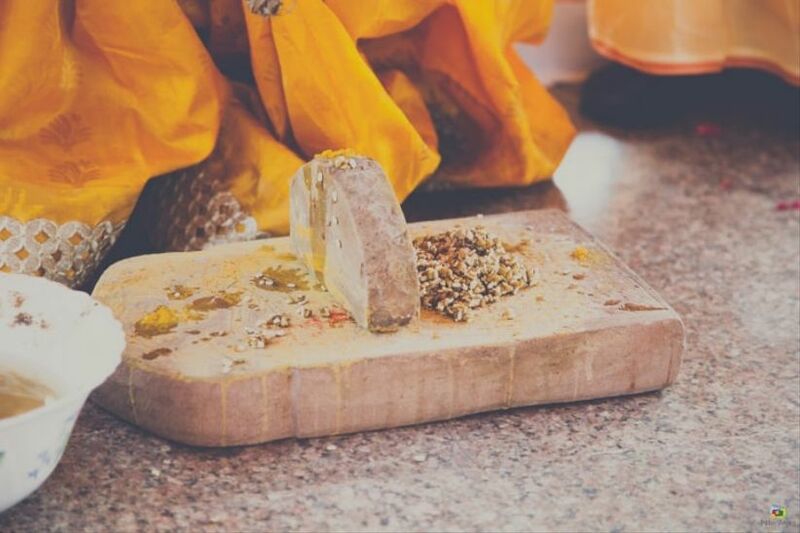 Perhaps one of the most important things to consider when you plan to make your Haldi ceremony a smashing hit. Every eye is on the bride and the groom and what they are wearing. So make sure that your Haldi dress is worth their time and a second look too! Thanks to the millennial era you have a wide range of outfits to choose from. Be open to new ideas. Try out a few outfits before you finalise the one that does most justice to your personality. Add some quirky accessories for that extra pop of colour and spark! 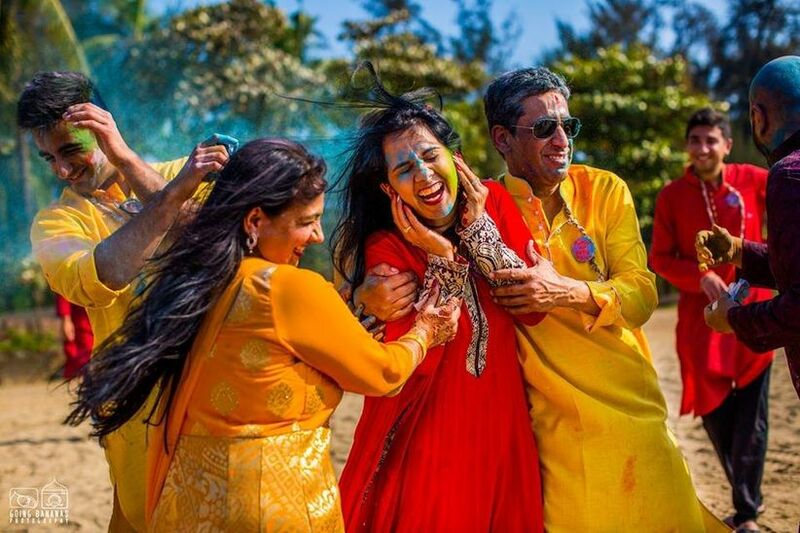 Haldi ceremony is one of the most looked up to pre-wedding ceremonies because it promises an endless riot of fun and laughter. 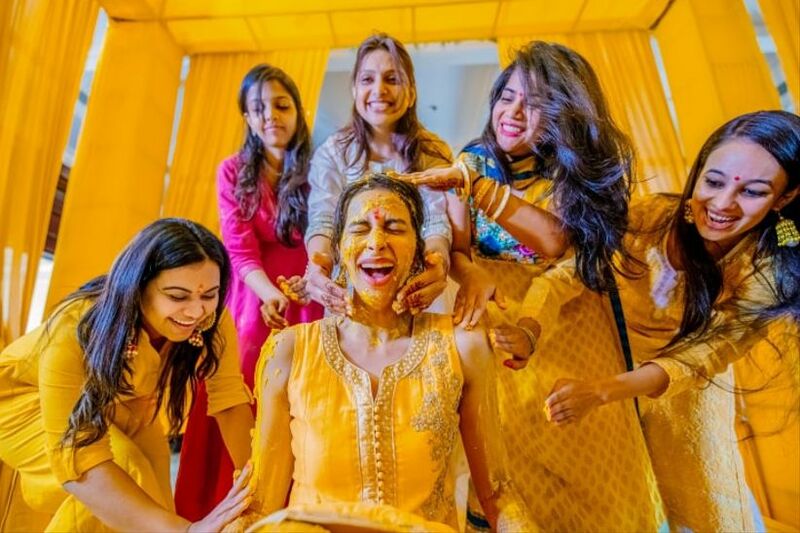 Haven't you waited all your life to attend your BFFs Haldi ceremony so you could smear the turmeric paste all over her? We sure have! Take inspiration from these stellar ideas and take your function up a notch. Trust us, it will be a ceremony none of your guests will be able to forget for some seasons to come. Bend the rules and have some fun! We hope this helps you plan your Haldi ceremony. Do share your thoughts in the comments below.